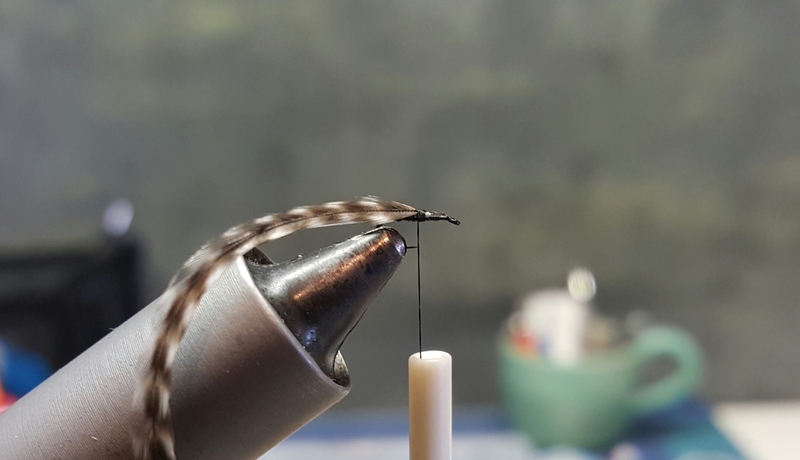 This pattern is a really easy tie that is perfect for beginners who want to try their hand at a small midge dry fly. It is essential you have good quality grizzly hackle that has lots of really small pin-type feathers. It is fished best behind a larger dry because it is very difficult to pick up visually on the water. 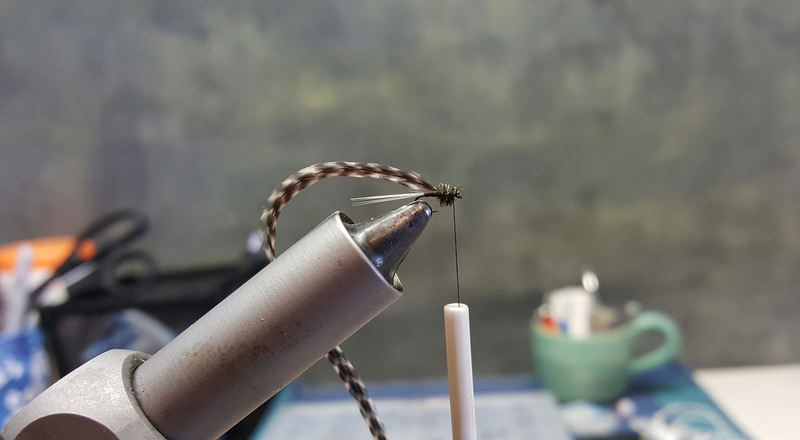 This fly works. It is very minimalistic, but has a great profile that finicky tailwater fish find irresistible. 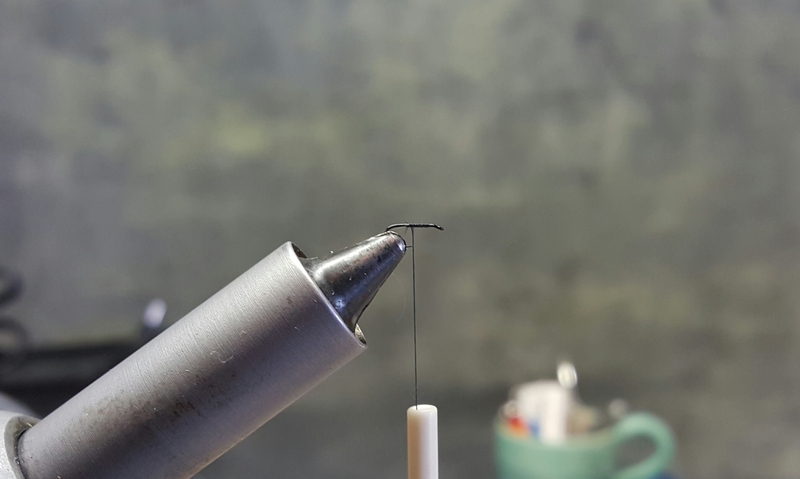 Begin by securing your thread to your hook (the one shown is a size 20). Finish with the thread about halfway back on the hook. 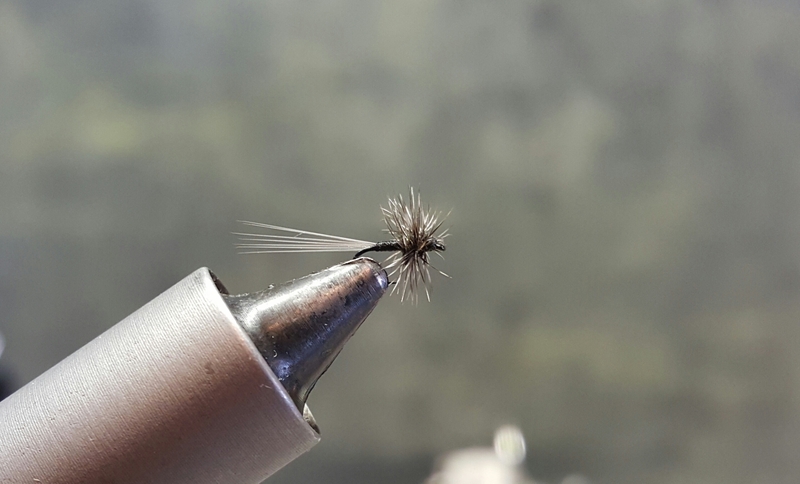 Tie in a clump of about 5-7 mayfly tails, leaving them a little longer than one hook shank in length. Secure and then work forward in nice, neat wraps until you are halfway up the hook shank again. Clip off the excess material above the thread wraps. 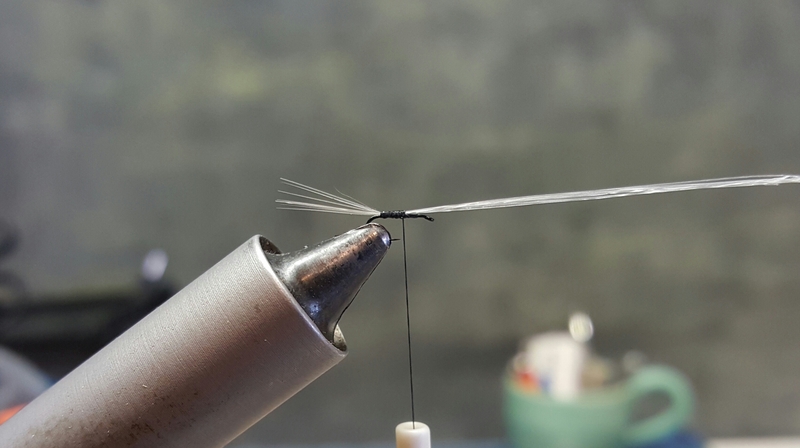 Tie in a grizzly hackle feather that has very short individual barbs. Make sure you strip off the feathers to expose the stem at the end you plan to tie in. 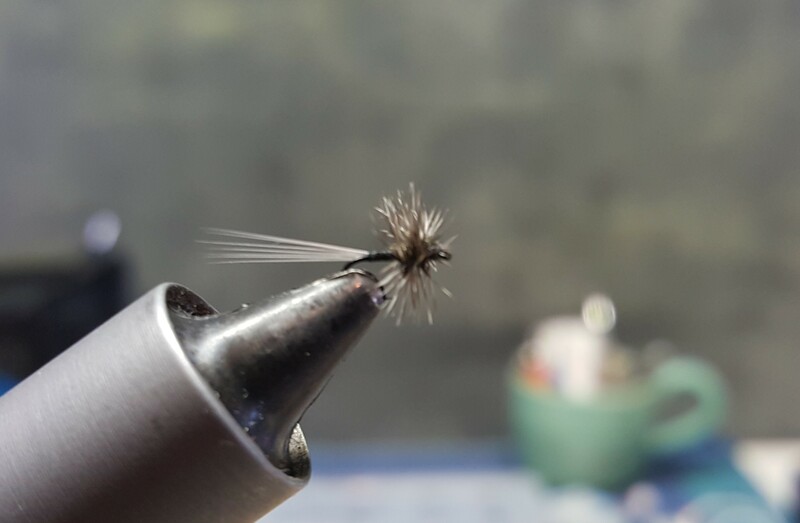 Tie in a single peacock herl just in front of the hackle feather. 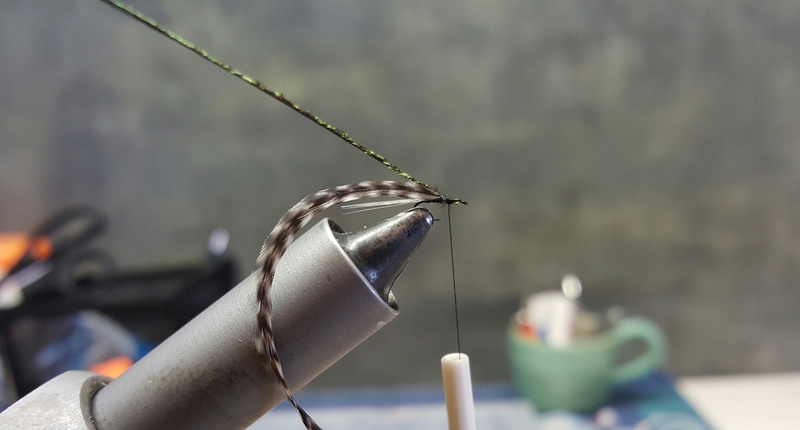 Wrap the thread up to just behind the eye of the hook. DO NOT crowd the eye. Wrap the peacock herl forward toward the eye in very tight wraps in order to form a somewhat bulbous thorax. Palmer the hackle forward over the peacock herl making three or four nice, tight wraps. Tie off and whip finish.